I really try hard to incorporate at least one item from my CSA box into each meal. Tonight’s meal was no different. I had posted about the lemon herb butter I had made earlier. I decided to use that tonight as well as the green beans i had gotten in this weeks box. The beans. 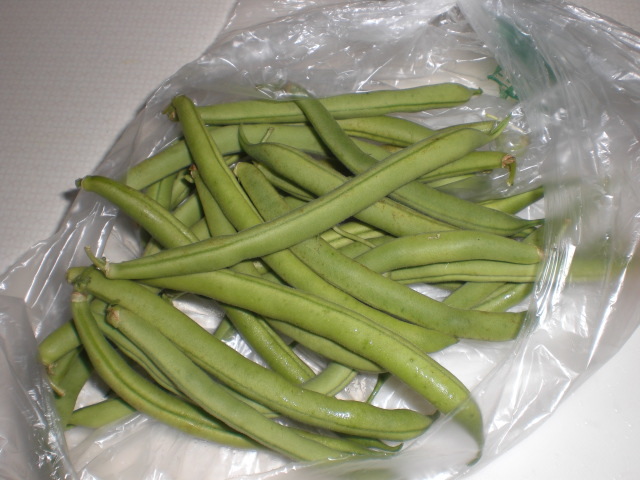 I had gotten a nice bag of green beans this week. I love HighCross Farm‘s beans. 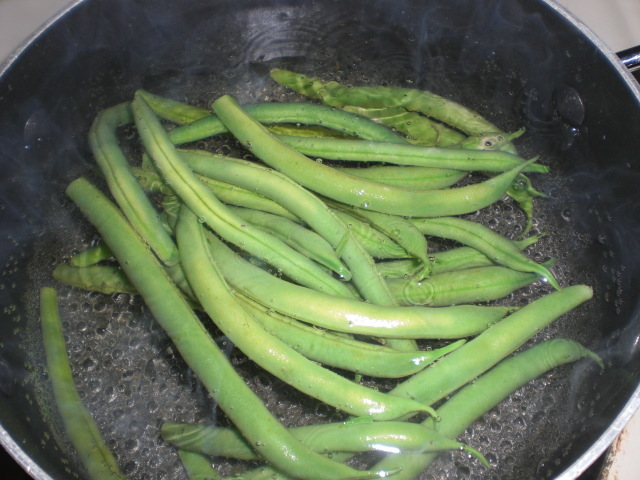 Take your beans, clean them up and throw them into a pot of boiling, salted water. Boil for about 2 mins, just enough to cook them through. 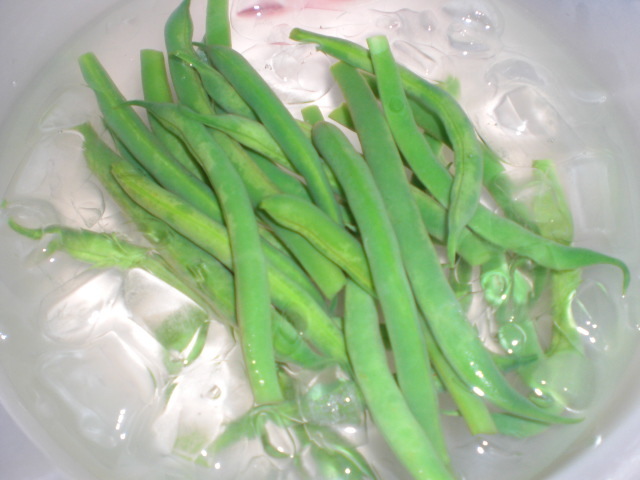 (You don’t want to cook them until they are soft) After 2 mins, put your beans into an ice bath. This instantly halts the cooking process and retains the beans bright green color. Let them sit while you get your steak ready. Salt and pepper both sides and grill until it’s to your liking (medium for me please!). Get two cloves of garlic and mince away. 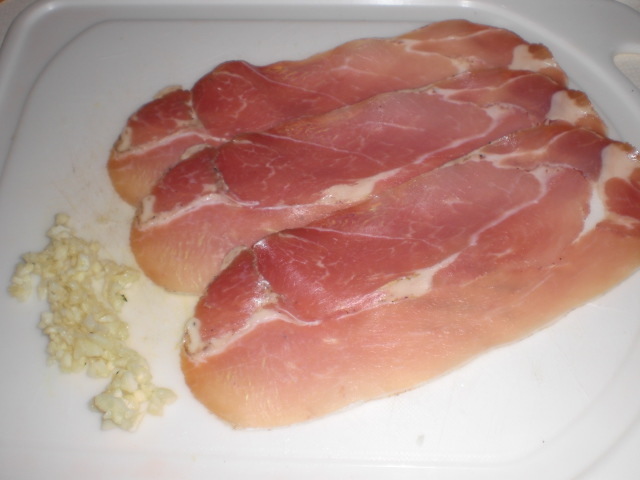 Get your prosciutto ready (you can get this in just about any major grocery store). 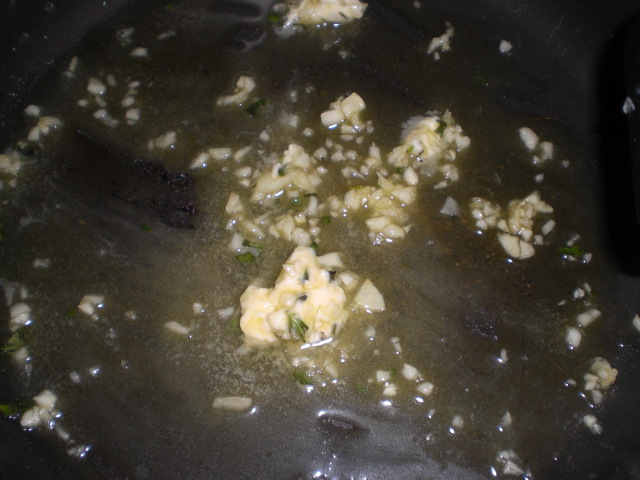 In a large pan, add 1.5 tablespoons of olive oil, 1 teaspoon of the lemon-herb butter and minced garlic and let sautee until garlic is translucent but not brown. 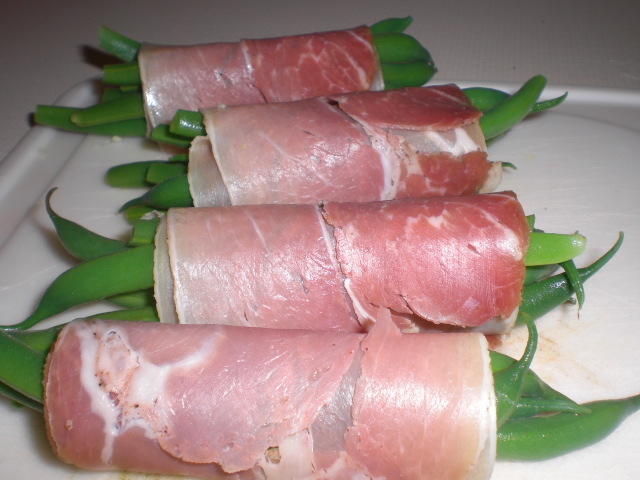 Roll up bunches of geen beans in the prosciutto. 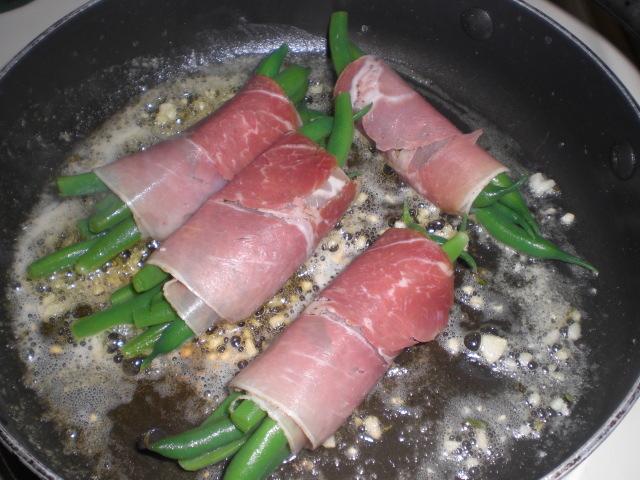 Put them in the pan seam side down and cook until prosciutto is browned and the beans are warmed through. 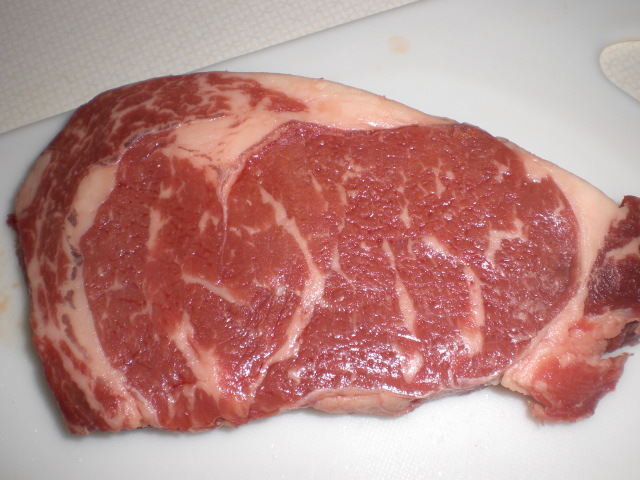 By now your steak should be grilled (or broiled, or baked) to perfection. 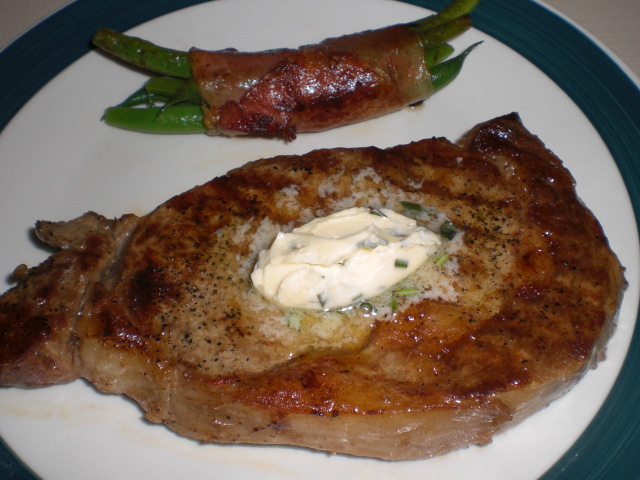 Plate your steak and bean bundles and top your steak with a good dollup of the lemon-herb butter and enjoy! 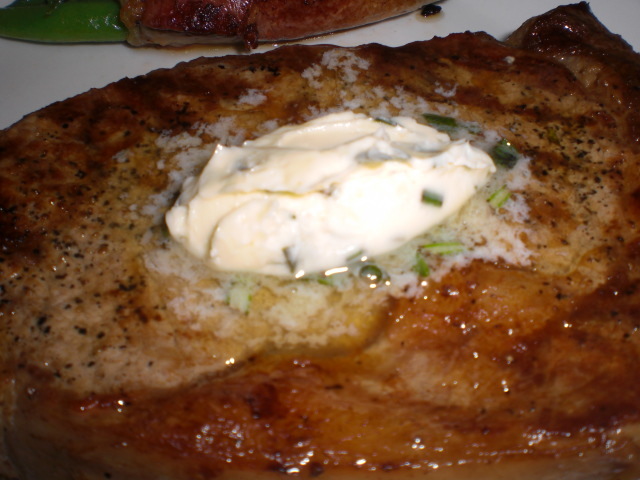 A close up of the butter melting on top of the steak…heaven. 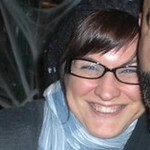 I am indeed full, fat and happy! What a nice meal to have after a day of spending all my hard earned cash on two teenager’s school clothes.